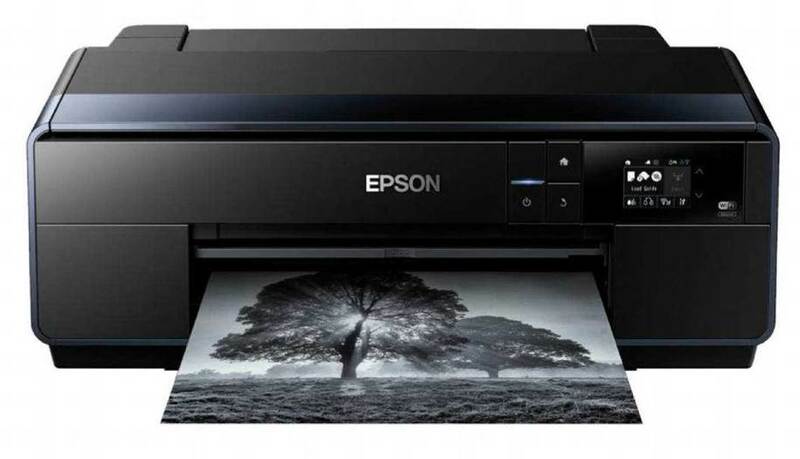 Epson’s SureColor SC-P600 is designed for both enthusiast and pro photographers looking for a high-end home printing solution to produce up to A3+ (329x483mm) prints. Make no mistake, this isn’t a jack-of-all-trades printer that can scan and copy as well; this is a high-end piece of kit that’s designed to produce beautiful looking prints fit for a gallery wall. The SC-P600 uses Epson’s premium UltraChrome HD inks, and packs in nine cartridges (yellow, vivid light magenta, light cyan, vivid magenta, cyan, light light black, light black, photo black and matte black), while there’s a large 2.7-inch touchscreen display to keep things nice and simple. This is one large printer, and with a footprint of 616x369mm you’re going to need a big desk or somewhere else to store it. That said, its size is about par for the course for an A3+ printer, and it feels incredibly sturdy. When all the trays are shut, the design of the SureColor SC-P600 is nicely streamlined and uncluttered. In use, it opens up with a three- section rear auto sheet feeder at the rear, while the front of the printer features a paper-out tray with two telescopic sections that can be pulled out to support media as it’s produced. In addition, there’s also a front-loading straight paper path should you want to print onto thicker paper up to 1.3mm. External controls on the SC-P600 are kept to a minimum, with large home, on/off and back buttons supplementing the 2.7-inch touchscreen display. A nice touch is that the whole front console section, including the buttons and display, can be angled outwards to almost 90 degrees – it makes the SC-P600 that bit easier to use should it be positioned low down, since you won’t have to bend or crouch to see the interface. 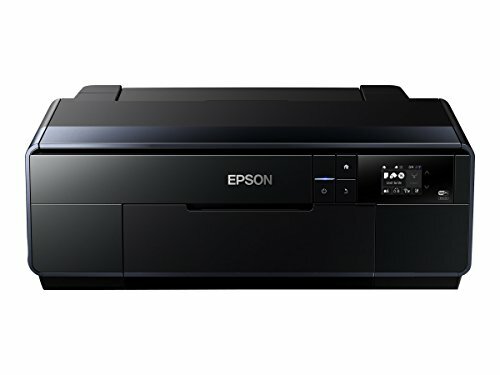 The Epson SureColor SC-P600 is all about print quality, and outputs at a resolution of 5,760dpi. If you want, it can rattle out a large A3+ in about two minutes and 30 seconds, although if you want to use fine-art media and want the best possible quality, you can expect that print time to double. In addition to A3 paper, a range of smaller sizes are supported. There’s also the option to print professional-quality labels directly onto inkjet-printable CDs/DVDs (if that’s still a thing), while the SC-P600 is also supplied with roll holders for panoramic printing; these attach to the rear of the printer, and will accommodate paper up to 13 inches in width. printer for transferring images from flash drives, but no. There’s no SD card slot either, unfortunately, with the SC-P600 relying on USB and Ethernet ports at the rear of the unit instead. connectivity. This also means Epson’s iPrint app (for iOS and Android tablets and smartphones) is supported – we reckon most users will want to send images to print direct from their computer, but it’s handy to have nonetheless. The prospect of setting up a device such as the SureColor SC-P600 can be daunting, but we found the process extremely straightforward. While the SC-P600 has the ability to be used as a standalone unit – that is, without a PC – we opted to install the drivers and software with the intention of printing images through Photoshop. This is easy thanks to the on-screen instructions, while we chose to wirelessly connect to the printer, which also proved incredibly simple to do. Populating the cartridge bay with the nine inks is also easy enough, with each cartridge requiring gentle pressure to snap it into position. There’s no chance of fitting cartridges incorrectly or in the wrong position, since each colour has a unique moulding. Each cartridge contains just under 26ml of ink, which is a decent amount, while the smallest ink droplet size is just 2pl, which promises to produce smooth gradients. 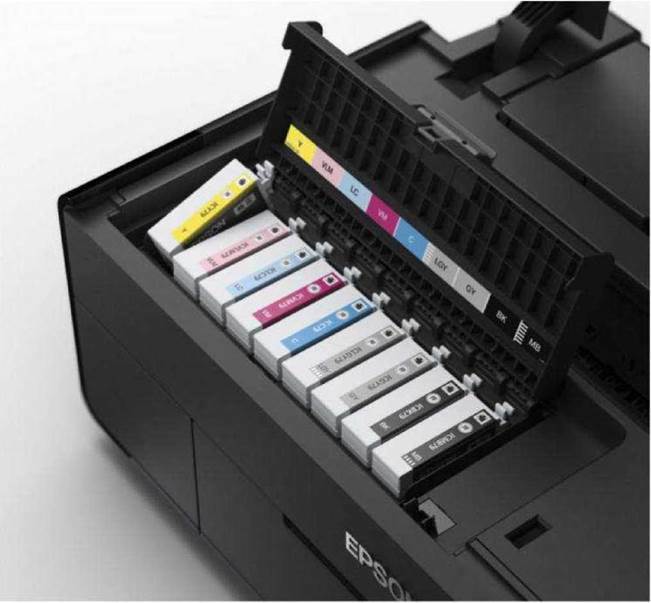 One thing you’ll definitely want to consider is the cost of replacement inks – a full set of nine Epson cartridges. We used Epson’s own premium satin Traditional Photo Paper, with colour handling set to Printer Manages Colours. Should you wish to use third-party media, there are a host of options within Photoshop that will enable you to use custom profiles for your prints. The results were very impressive, with colour prints exhibiting vibrant colours and beautiful detail, and subtle colour graduations rendered smoothly with no visible banding. The Epson profiles with the paper used are also very accurate, which meant we didn’t have to manually intervene to adjust the image before printing. If you’re planning on doing a lot of black-and-white printing you’ll really appreciate the SC-P600’s four black inks. Depending on whether you’re using gloss or matte media, the printer will use photo black or matte black, alongside light black and light light black; this avoids those slight colour casts that can ruin black-and-white images from lesser printers, and our test results proved to be beautifully neutral and contained plenty of shadow and highlight detail. 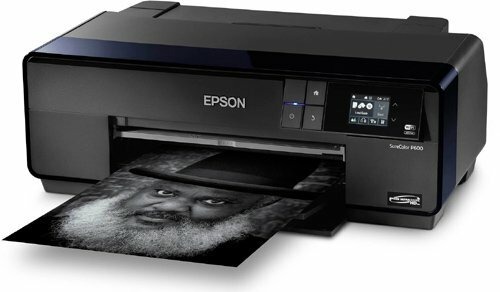 The Epson SureColor SC-P600 is a brilliant printer for the enthusiast or professional photographer. It’s well made and easy to use, and you’ll be impressed by the quality of the prints it’s capable of producing. The consumables are pricey, though – this won’t be such an issue if you can recoup costs by selling your prints, but it does make the SC-P600 an expensive option for the occasional user, who may be better served using online services. However, if you can see yourself regularly making prints and can justify the costs, you won’t be disappointed with the SC-P600. 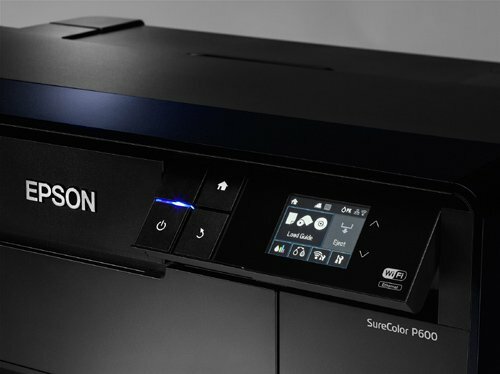 The SureColor SC-P600 is a brilliant printer for the enthusiast or professional photographer.